The idea that payment should be linked to the value lies at the heart of most of the transactions we participate in on a daily basis. Yet, value based payment in healthcare has seemingly run into very rocky waters as of late. It is at this precarious time that stakeholders representing large employers and other purchasers of health care’ took to the Harvard Business Review to write in defense of value based payment reform. The authors pepper their article with cherry picked ‘successes’ of the value movement and urge the country to forge ahead on the current path. The picture that comes to my mind hearing this is of the Titanic, forging ahead in dark waters, never mind the warning signs that abound. One of the authors of the paper – Leah Binder – is President and CEO of the Leapfrog Group – a nonprofit organization founded in 2000 dedicated to triggering ” giant leaps forward in the safety, quality and affordability of U.S. health care by using transparency to support informed health care decisions and promote high-value care”. This is a laudable goal, but it is very much predicated on the ability to measure value. A perusal of the Leapfrog group’s homepage notes a 1000 people will die today of a preventable hospital error. The warning is explicit – choosing the hospital you go to could be the difference between life or death. I have spent some time in the past about the remarkably weak data that lead to an estimate of 400,000 patients dying per year in hospitals due to medical errors, but suffice it to say the leapfrog group subscribes to the theory that of the ~700,000 deaths that happen in hospitals per year, half are iatrogenic. With no exaggeration, I can say firmly that those who believe this are in the same company as those who believe the earth is flat. If the home page of the Leapfrog group, examination of their claims in their HBR article merits additional concern. The first example proferred relates to a reduction in venous thromboembolism or blood clots acquired in hospitals after a government agency (AHRQ) began tracking this from 28,000 in 2010 to 16,000 in 2014. Binder et al., note that this means 12,000 fewer patients had ‘potentially fatal blood clots’. Ostensibly this reduction in clots was due to reporting of these events and a Bush era rule from 2008 that put hospitals on notice that Medicare would no longer be paying for Hospital acquired Conditions (HAC) like clots after joint surgery. But how exactly did hospitals achieve these impressive results? While the hope is that hospitals achieved these reduction by better attention to therapies that prevent blood clots, the reality is somewhat more complicated. For starters, orthopedic surgeons grew wary of searching for blood clots postoperatively. The surgeons weren’t necessarily wrong to adopt a newly parsimonious approach. Easy access to ultrasounds and cat scans meant many patients ended up diagnosed with small clots in the calf or in the small arteries of the lung that were unlikely to cause the patient harm. It was not lost on surgeons that these clots were unlikely to be fatal to the patient, but were potentially fatal to the hospital and surgeon’s bottom line. Yet another way of reducing hospital acquired conditions is to improve the diagnosis of blood clots that patients carry with them on admission. It is clearly unfair to penalize hospitals for patients who present with a blood clot, so improving the diagnosis of these patients is important. Unfortunately, too much of a good thing is usually too much of a good thing. Some institutions actually began performing screening whole leg ultrasounds on all inpatients being admitted. The whole leg is important because asymptomatic blood clots that do develop below the knee are generally not high risk , and indeed, many may resolve spontaneously with no treatment. Worst of all the diagnostic accuracy of ultrasound falls precipitously as veins get smaller in the lower leg. In 160 medical inpatients who had an ultrasound and a gold standard venogram, the positive predictive value of an ultrasound for a lower leg/calf/distal vein clot was 50%. To reiterate – a positive result on a leg ultrasound has a flip of a coin’s chance of being correct, but it does allow the hospital to document a clot in the leg vein (also known as a Deep Vein thrombus (DVT)) as present on admission, and make any actually clinically meaningful DVT that subsequently develops not count towards the all important hospital acquired numbers. The added benefit of documenting more DVTs in your medical inpatients (as opposed to the post-orthopedic surgical patients) is that it makes patients appear sicker. This matters because another metric- the all important US News World Report rankings – are based on the difference between hospital expected and observed mortality. The higher your expected mortality, the better. It is not even clear that the numbers, if accurate, would tell the whole story regardless. Consider the feared complication of DVT is a clot that spreads from the leg veins to the heart and causes death – a pulmonary embolism. As far as I can tell, this information is not being publicly reported, but data for the incidence of pulmonary embolism is available from administrative claims data. One would think that the reduction of DVTs should have lead to fewer PEs being diagnosed. Unfortunately, very little in health care is predictable or intuited. The incidence of PE’s has actually dramatically increased since 1998. Our ability to find clots in the lung dramatically improved in 1998 with the introduction of MultiDetector Computed Tomography. This would be ok if finding more PEs results in improved patient outcomes, but it has decidedly not. Mortality from PE is stubbornly unchanged from prior to 1998 to now, ostensibly because we simply got better at diagnosing PEs that were never going to bother the patient. The point of this long discussion on the blood clot example Binder et al raised is to demonstrate the absolute utter meaninglessness of the metrics highlighted as an example of success. I am relatively certain we can ‘fix’ the overdiagnosis of PE problem by publicly reporting PE data. I am sure the hospital/physician administrator class will respond with some non-granular edict that will strip the physicians ability to order an MDCT for PE. As history would suggest, fewer unneeded CTs will be done, but fewer needed CTs will be done as well. Medicine used to advance organically from the bottom up by education and discussion informed by data. 50% fewer coronary stents are placed in the elective setting over the last decade not because of public reporting or leapfrog, but because the data brought the frequent practice by cardiologists into question. Binder et. al go on to highlight the benefits of transparency in improving outcomes in New York state patients undergoing cardiac surgery. Apparently, public reporting of outcomes in cardiac surgery patients in New York lead to advances in cardiac care that saved lives. Its a remarkable statement because there is ample data to suggest that lower mortality with public reporting in this setting related to lower surgical volume driven by a fear of operating on sicker patients. One is left to contemplate the credentials of these arbiters of value in health care. How can we possibly evaluate those who have anointed themselves as gods of value? Data is no longer sufficient to rebut the movement because the data no longer fits the narrative. It should be somewhat discomforting that this chart depicting the United States as outlier when it comes to dollars spent for life expectancy achieved is essentially unchanged since the Leapfrog group came into being in 2000. The value based movement as currently envisioned has failed. Apparently, a maze of third party payers and third party consultants don’t actually make healthcare better or less expensive. The authors seem to understand the weakness of their arguments by ending their article with a warning about returning to the fee for service that brought us to the abyss. Fee for service is the culprit that has produced ‘waste, heavy cost, and quality of care issues’, after all. This is all true, but do the authors really believe that the fee-for-service system that existed brought no good with it? It is certainly true that the last half century produced a health care system emerged that was incentivized to treat patients. Great waste arose as a result. But this is the same health care system that finances cardiologists on call to open up your blocked artery within 90 minutes of where you currently sit. It is also the same system that refused to give up on rare, fatal diseases in children when other systems have. It should be lost on no-one that the value based movement has morphed into a tool to strong arm physicians into giving up on those it is cost inefficient to treat. Burned by the managed care experience, third party payers have found a way to make physicians the deniers of care – employ the vast majority of physicians, and tie financial reimbursement to value based outcomes that incentivize doing less regardless of patient need. A generation of physicians now emerges with an allegiance to populations and health systems, so it is no surprise that a good physician today is one who can provide a disney land experience to the consumer, all the while keeping length of stay in hospitals low, while documenting all possible diagnoses in EPIC to maximize patient expected mortality and maximize billing. The best thing a customer with a sick heart who made the mistake of being admitted to the hospital with heart failure can do in 2017 is die. Mounting evidence recently lead to leading heart failure physicians to write emphatically that hospital readmission reduction program is associated with fewer readmissions and more deaths. Waste may abound in our current health care system, but the strategy employed by the value based seers exacts a heavy penalty on our sickest and most vulnerable. Ideologues should consider that we indeed do have a health care system that resulted in too many heart transplants, but is it really better to live in a world where deserving patients don’t get a heart transplant? This does not mean to say that massive waste does not exist in our health care system. As an example: Hospitals have become massively bloated entities that innovate by hiring patient experience officers, giving patients ipads, paying hundreds of million dollars for EHRs that make physicians less productive, and hiring an army of hospitalists to check boxes and reduce length of stay. I do mean to say that the current plan to give the nations dollars to insurance companies, health care consultants, and non-clinician administrators and expect an intelligent path forward is improbable. A more honest path appears courtesy of true mavericks like the founders of the Surgical center of Oklahoma that accepts no third party payments but delivers care for elective surgeries at massive discounts relative to regular hospital systems. Any surgical complications are covered free of charge. Patients traveling from a distance have their airfare paid for and are put up in a hotel. Sounds like patient, centric value based care to me. How could this possibly happen without the Leapfrog group being involved? I realize that the Surgical center of Oklahoma does not have to keep an ER open 24/7, and doesn’t have to pay for interventional cardiologists to be available constantly, but there is ample evidence to suggest the dollars being spent in hospitals are being spent on a variety of goods that have nothing to do with patient health. Is it a pipe dream to believe that in the wealthiest country on earth we can have a robust private system that can deliver us CAT scans for $400 and still manage to provide a support system for those financially destitute? We currently find ourselves hostage to a health care system that has convinced us that health care is unaffordable, and that keeping the lights on in your local hospital requires being paid $50 for an ECG. The solution has been to create a whole bureaucracy of measurers that have just as much expertise at valuing Big Macs as they do healthcare. The evidence we didn’t need to generate now tells us we don’t measure value well, and it has not resulted in a net reduction in cost or any significant increase in real value delivered. Ur being hard on the OK guys. Do most surgicenters tell you upfront what the cost of procedures are? And by the way it’s hard to compare ehats actually paid because hospitals won’t disclose their contracted rates. Let me answer your 2nd question with a question – how did American medicine get this far without quality measures. Do you really think leaps forward in outcomes are going to be as a result of a quality movement that doesn’t understand how to measure quality? “I am finding that once we start measuring stuff, it makes us realize how big a problem we have,” Yes!…that is the way to increase quality/efficiency and reduce costs. Done at the operational level and best if adopted voluntarily. The problem is when bureaucrats (government based mostly) impose measurements and penalties from far above…..almost always turns out to be ham handed with unintended consequences…the tx turns out to be worse than the disease. This would be a very desirable thing for everyone, but how do you believe the profession can weed out its “rotten apples” without running into trouble with the law and without being sued? The pernicious effects of our overly litigious society apparently go well beyond defensive medicine which drives up healthcare costs significantly. It also makes it impossible for objective physician referral services to recommend doctors based on competence and skill as opposed to merely providing a list of local area doctors and it makes it extremely difficult to remove the ‘rotten apples” from the profession because they’re afraid they will be sued for trying. Even honest references from prior employers are hard to come by because they’re afraid of being sued too if they say anything negative about their prior employee. Sad. Barry, on the one hand you wish to have some sort of rating system for physicians. However, you are not willing to pay more for those with the best reputations. There is a disconnect in that type of thinking. One can’t deal with a lot of the other issues you mention until this issue of compensation is cleared up. “Positive outcomes” after surgery can be just as much due to the anesthesiologist, radiologist, pathologist, scrub team, floor nurses, on-call docs, hospitalists – how are you going to choose them? Law-suit city – they’d be gone over night. Which is why physicians are so afraid of disciplining their peers. Just curious – how do you choose a lawyer? an accountant? a priest? It’s miles clean that our leaders within the Universities, philanthropy, government at all degrees, expert institutions, and business have failed. a few of the 35 OECD international locations, we’ve got the maximum productive and green agriculture industry. 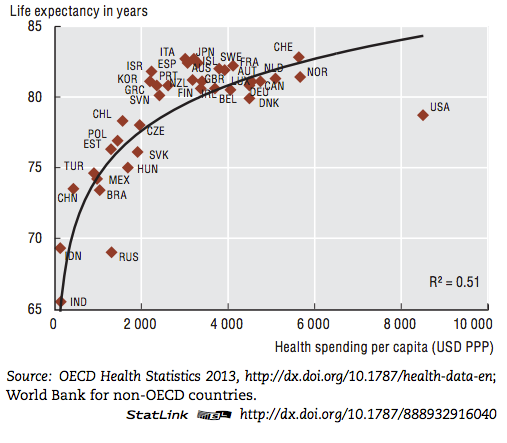 sadly, our healthcare enterprise is the least efficient amongst those countries and, https://www.dissertationking.co.uk/ via some requirements (eg maternal mortality), the least powerful. Paul, you have the key, but those in power don’t want to give much of it to the patient. 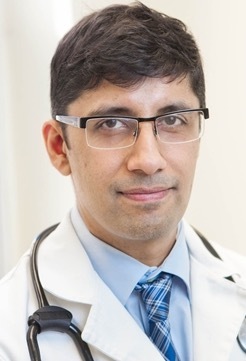 Good work Dr. Koka! Love the example Surgery Center of OK is setting. May we all be as visionary as they are. Great article. I thought sc heparin upon admission and daily while in the hospital contributed to the significant drop in DVT and PE or embolic stroke in those with a PFO. What can one say other than … Good Job, but how do we extricate ourselves from the monsters we have created?